The role of a finance department used to be about reporting and reviewing historical performance and looking at accounting, controls, and compliance. Today that role is evolving to focus more on being a strategic business partner and making good commercial decisions. “I think every CFO should be recognized as someone who drives the business forward and who is a partner to the organization, the CEO, and the entire management team,” Reindel says. 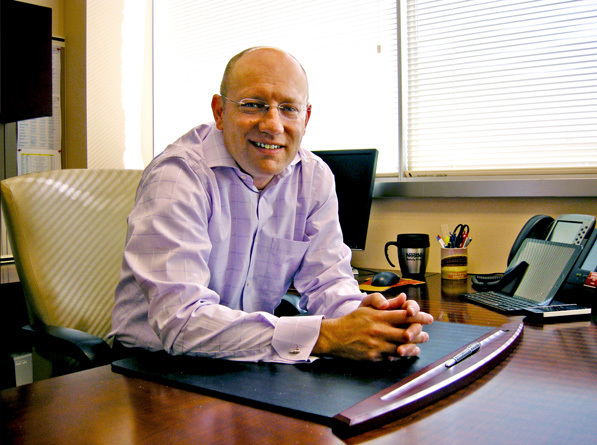 “At Gerber, our efforts in [the] finance and control [department] focus on helping everyone be more effective in their roles.” As an example, finance and control is partnering with sales and operations to minimize waste, which is helping the company reduce inefficiency while providing value to both shareholders and consumers. When a forward thinking mind-set is applied, a clearly defined strategy evolves, which is essentially a set of clear and transparent choices. This helps everyone within the company focus on efficient and effective business planning, ensuring that new products are brought to the market at the right time. For a company like Gerber, which offers more than 400 infant and toddler nutritional food products, timing is everything. The company’s commitment to providing the best quality products for babies and mothers helps successfully support child development and nutritional needs at each stage of early life. The company’s goals and objectives also align with Nestlé’s global goals for infant nutrition and with ensuring long-term sustainability. “It’s important to strike a balance between current objectives and long-term sustainability and see the entire picture before making informed decisions,” Reindel says. But an effective strategy cannot only be defined internally. Nestlé has an eye on what its competitors are doing and the macroeconomic environment, and the company also has a deep understanding of the regulatory environment and what is happening with babies around the globe. To successfully drive a business forward, invest in people and help them succeed. One of the key roles of a chief financial officer is to motivate people to grow. “I’m working on building a culture that is motivated and forward-looking,” Reindel says. “Every person on my team needs more than just tangible finance skills. They need to know how to influence others and communicate within a cross-functional environment.” Rotate people in different roles within a department to develop a culture of learning and development. People want to be challenged, and they want to learn. In a large corporation like Nestlé, technical skills will only get you so far, but strong communication and leadership skills will help you advance to the next level. In today’s global economy, the ability to communicate and lead with different styles and techniques is critical for success. Reindel’s own skill set has grown tremendously throughout his international career because of the varied opportunities he has had working in environments with different cultures and approaches to business. “Every country drives their business forward in a different way,” he says. “I’m lucky that I’ve had such a broad pool of experiences to cull from.” Those experiences help Reindel identify where and how to improve the company’s efficiency. Although Reindel has never been a part of a formal mentoring program, he credits much of his success to his mentors. “One of the benefits of working for a global company is building connections with talented, experienced executives around the world,” he says. Look for mentors with experience, talent, and strong communication skills to build a network that supports your success. According to Reindel, only 10 percent of personal development within a company is due to formal training and skill development. The other 90 percent is a blend of experiential learning, working with a strong team, networking, and constantly looking forward.